One of the oldest clichés regarding establishing a business is that you must first consider “Location, location, location.” But what happens when your business is your location, and that location is both exquisitely beautiful and incredibly hard to get to? That was one of the primary marketing and branding challenges of Ocracoke Island, a beach tourism destination located on the southernmost tip of the Outer Banks. Other Outer Banks locales have larger reputations, like Hatteras, and offer an easier route to get to them. And up and down Virginia’s, North Carolina’s, and South Carolina’s coasts, there are big beach destinations with marketing budgets to match. So what was Ocracoke to do in the face of all of this? Why, hire Element Advertising, of course! Working with Chris Cavanaugh of Magellan Strategy Group, we began on multiple fronts. We examined best practices regarding other tourism destinations, hoping to assist in strengthening the relationship between tourism budget funding, occupancy taxes, and the business owners of Ocracoke. While that was in process, we began refining and researching target definitions and the competition, and we discovered a niche that would likely appeal to our female empty nesters and heads of households: By invoking a bit of nostalgia regarding the targets’ beach vacations from their childhood, and blending messaging that created a sense of adventure in just getting to the destination, we created an idyllic image for Ocracoke where the journey might not be easy, but is well worth the escape in making it. We quickly positioned Ocracoke as the antithesis to other beach vacations, or “The cure for the common beach” ­­­––the antithesis of other beach destinations––and stressed the protected, undeveloped stretches of sand and surf, and the simple appeal of shell collecting, raw nature, and far fewer airbrush T-shirt places and tacky beach activities. Element has pushed Ocracoke into the considered set of beach destinations for southeastern families. 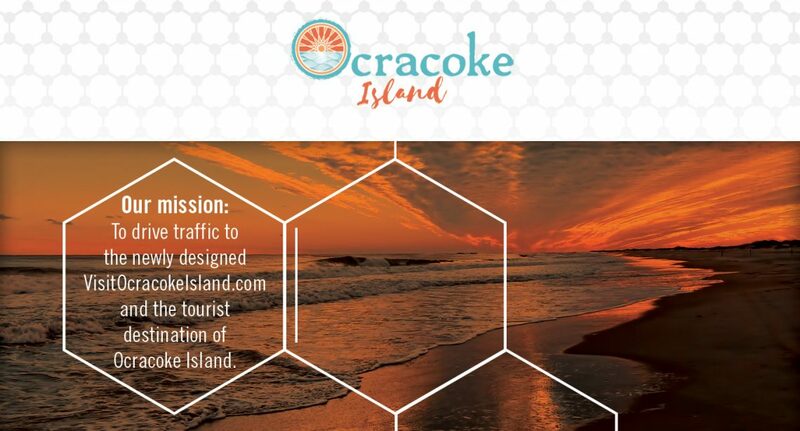 A new brand, logo, and tagline were developed; these and a new website, digital banner campaigns, and public relations have all helped Ocracoke establish itself in the targets’ minds. 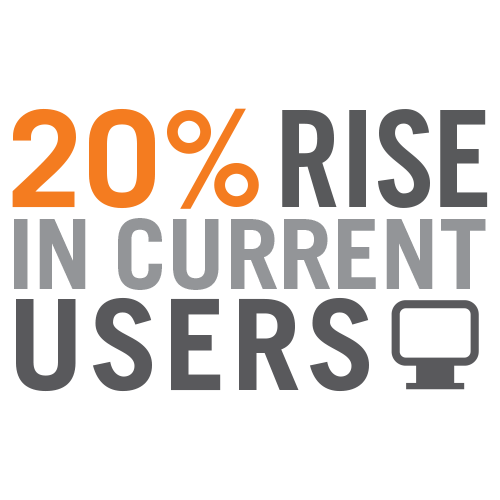 Website sessions are up 56% and users are up 20%, with new users up 19%. 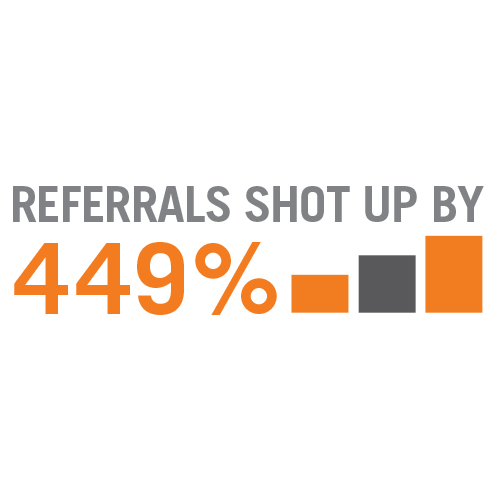 Referrals have shot up 449%, and display banners are up by 1006%. Astoundingly, native advertising referrals are up 1,712%.